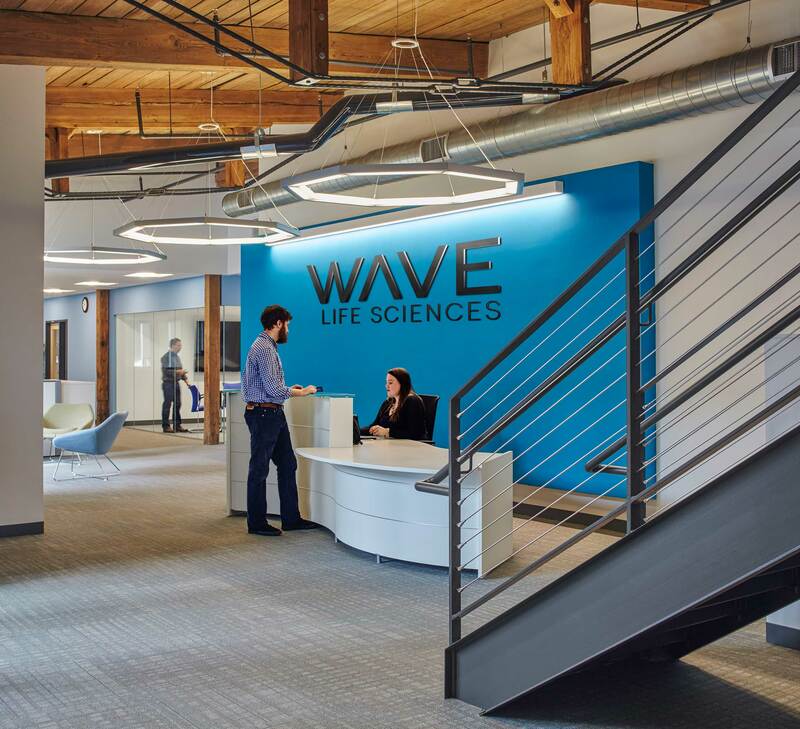 Wave Life Sciences is a new Corporate Headquarters and Research Facility for a genetic medicine company start-up in Cambridge, Massachusetts. 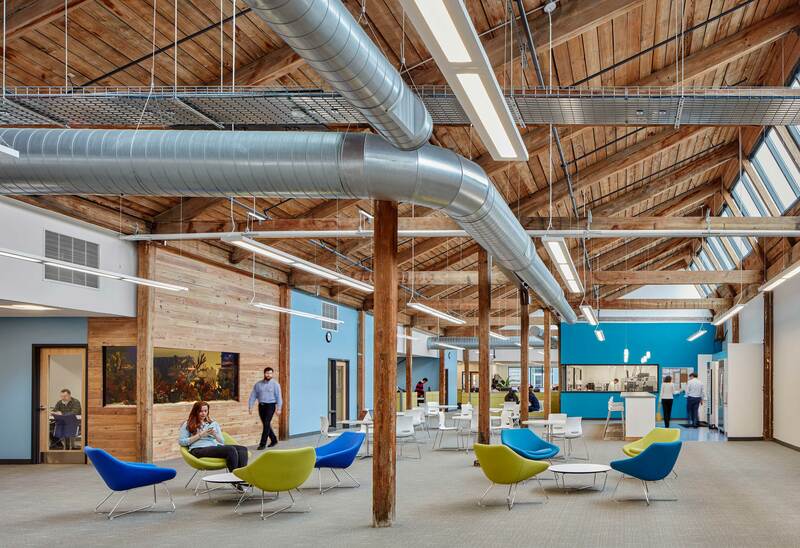 The headquarters is located in an early 20th century former warehouse building in the Alewife area. 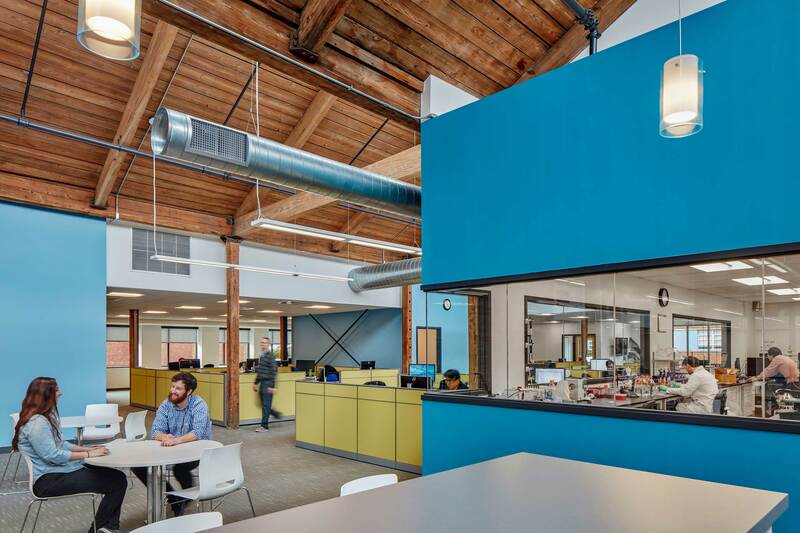 The 30,000 SF corporate fit-up of the saw tooth roof, post and beam structure was designed to meet both the exacting needs of the research and to express the collaborative culture of Wave. 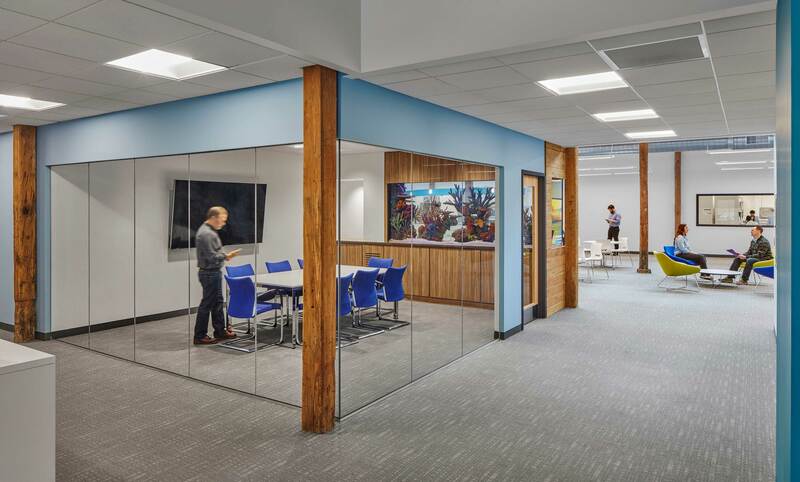 The completely open space design has no private offices and is arranged around a skylight spine, linking the research and office areas. 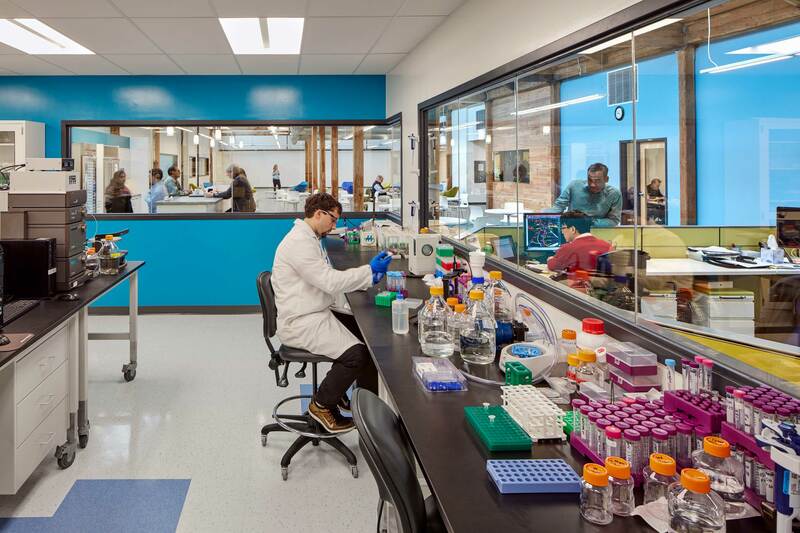 Located at the center of the spine is the café where Wave offers free lunch every day to all employees to ensure the chemists, biologists, accountants and all other employees learn and collaborate with each other.